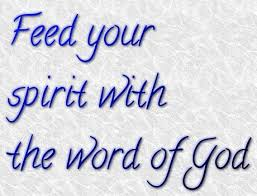 Word Wise is a ministry dedicated and committed to the teaching and study of the Word of God. The mission of Word Wise is to make sure that what is revealed in Scripture is rightly understood by those who study God’s word and those who teach others. The Word Wise Program is committed to teaching how Scripture is to be understood in its proper context, historical settings, and factor in cultural events in order for us to understand how the Bible is to be understood today. The primary purpose of Word Wise is to make sure our listeners become Wise according to the teachings of the Word of God as we find it in Holy Scripture; and that listeners develop the wisdom and the spiritual courage necessary to live a righteous Christian life according to the Word of God. Word Wise will focus on teaching biblical truth by analyzing contemporary and relevant questions of the day that are indispensable for Christians to understand. The goal is to Connect People to Jesus and in order to do that, we must make sure listeners have a clear and proper understanding of the teachings of Scripture; and to better prepare them for righteous living in a hostile secular culture. It is difficult to live out your faith in the midst of a majority that is vocal and often a hostile opposition. So, in order to be an effective disciple, we must broaden our knowledge but our knowledge must be more than academic; it must manifest itself in experience and a change of lifestyle. Therefore, we will use sound accepted principles and proper rules of interpretation, as well as present day accepted meanings in order to get the correct meaning. We will also read Scripture to understand how it affects our lives, how we apply it to our lives, and put it into practical use. *Word Wise is presently being broadcast in two radio markets and by live stream.